Picture This is a page linking you to photos and miscellaneous graphic images that don't relate to other articles or news items currently in KODTRAK Kountry. Think of it as a scrapbook or archive of railroading. I have tried to organize the listing by railroad, if possible. So turn the page and see what comes up. AUBURN NY is my hometown. Auburn hosted two railroads during my youth-the New York Central and the Lehigh Valley. As I acquire photos, stop back for a tour of My Home Town. 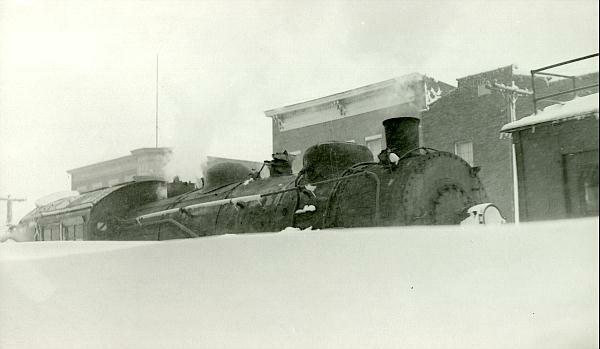 DL&W 952 was made up as Oswego & Syracuse #1 to help celebrate the 100th anniversary of the O&S in 1948. 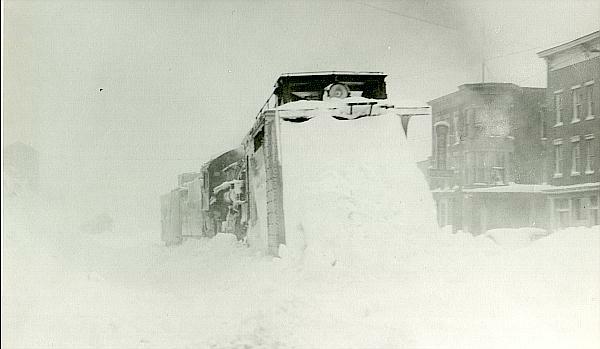 Here, #1 is seen with an accompanying combine outside the Oswego, NY roundhouse in a view captured by Oswego photographer Frank Barbeau. The engine still exists at the Museum of Transportation in St. Louis but what happened to the combine? Oswego Harbor was a busy place for the Lackawanna. The coal dock (out of sight to the right) was joined in the 1930s by the state grain elevator. 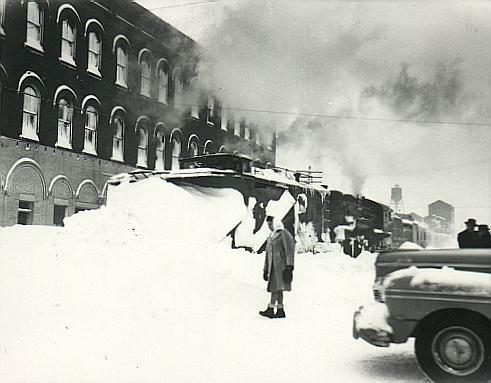 This view is taken from atop that elevator, showing a Lackawanna 0-6-0 shoving cars. 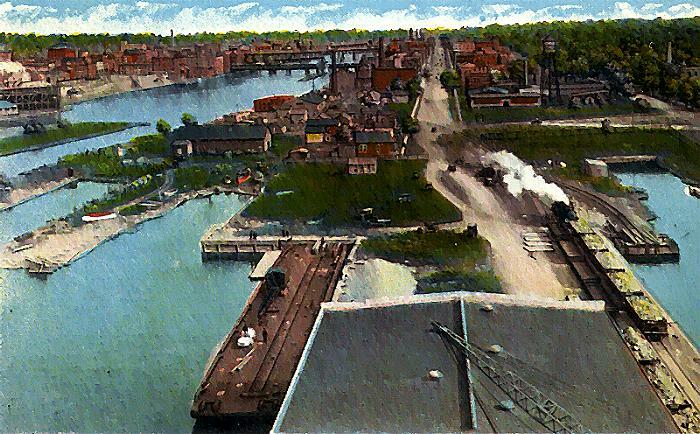 Just visible on the left across the river is the O&W trestle, making this a pre-1941 view. Fairbanks Morseswitcher #8325 with wooden transfer caboose in Buffalo, NY, 5/68. The Grasse River Railroad was a shortline and logging railroad in the Adirondack region of New York State. While Shays travelled the logging branches above Cranberry Lake, small rod engines ran between Cranberry and Childwold, where the Grasse River connected with the NYC. The timecard from 1924 shows four trains a day each way. 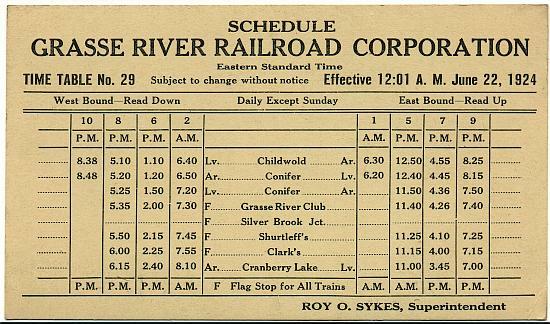 The timecard from 1933 shows that even during the Depression, the little Grasse River could take you all the way to New York, Buffalo and Montreal.